Kyiv is greeting the guests. Finalists of the Champions League were granted a quota of 17,000 tickets each, meaning Ukraine’s capital will be visited by at least 34,000 fans of Liverpool FC and Real Madrid FC. Due to the grand flow of foreign fans, we decided to find out about the people coming to cheer for Liverpool FC: what are they famous for, what to expect from them in Kyiv and in the stadium during the final match. The most well-known “ultras”: The Urchins, R.R.S. Runcorn Riot Squad. Perhaps, the most notorious fans, at least in Europe, are the fans of English Liverpool. Firstly, because if you have even the slightest interest in football, you would for sure know this song. And of course, we are bound to hear it at NSC Olimpiysky stadium in Kyib before the final match starts. 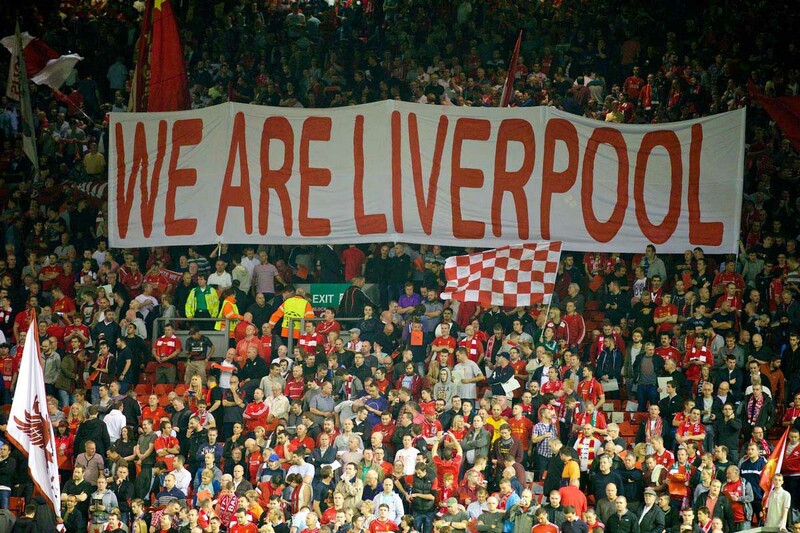 The most renowed anthem of the fans is “You’ll never walk alone” - the unchanged attribute of any Liverpool match. One of the most dramatic episodes of modern football is connected to this very song. It happened in 2005 and got an unofficial name "The Miracle". Then, Liverpool and Milan have met in Turkish Istanbul for the Champions League Final. British football club was completely losing in the first time of the game with the score 0:3 and it seemed that the match has already been decided. After the break, Liverpool did the impossible – it won back the points and in the end was victorious due to a number of penalties. The emotions after the match remained in this video. We strongly recommend you to watch it. At the background of the positive drama in the history of “red” fans, there were also tragic pages. One of them is the tragedy at the Heysel Stadium. 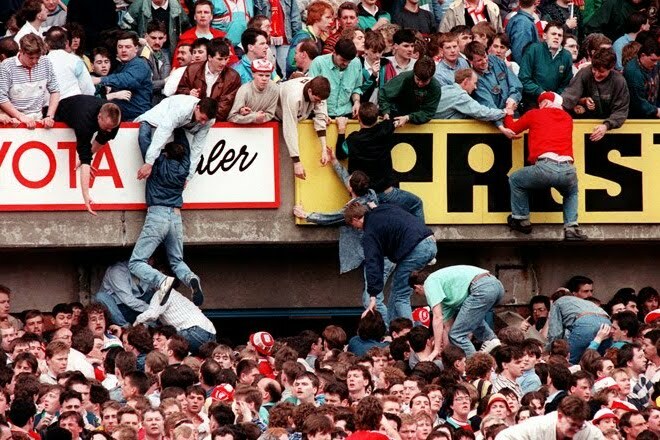 During the European Cup Final between Liverpool and Italian Juventus at the Heysel Stadium in Brussels, a group of Liverpool fans climbed over the fence separating them the opponents’ fans. 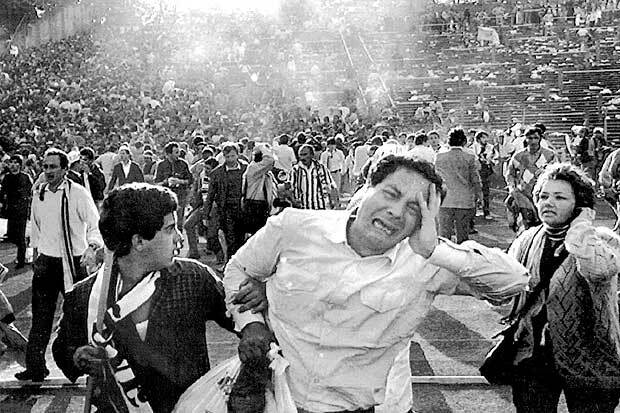 Italian fans tried to flee from the stadium terrace causing the crash of tribune’s sustaining wall. As a result of this, 39 people died and hundreds – received injuries. After the incident, all British clubs were suspended from the UEFA tournaments for five years and Liverpool – for six years until the 1990/91 season. At the same time, 14 “red” fans were found guilty in an unintentional homicide and sentenced to three years of imprisonment. Another tragedy connected with the Liverpool fans is "Hillsborough Disaster." A human crush that occurred at Hillsborough football stadium in Sheffield, England on April 15, 1989 during the 1988–89 FA Cup semi-final game between Liverpool and Nottingham Forest. 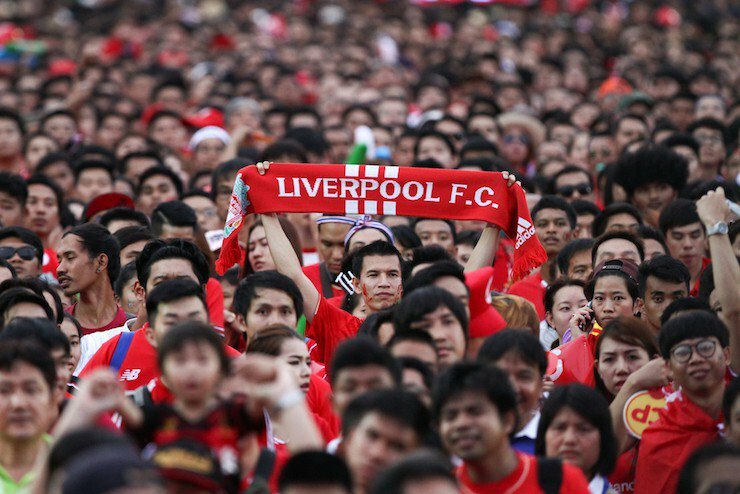 In the incident, 96 fans of Liverpool have died and 766 people were injured. British people are emotional fans. However, as the history shows, but when treated with friendliness, they can be friendly in return. “You could end up coming back in a coffin”, Campbell had said. Prior to the final British media writes about Kyiv with caution (The Sun for example, claims that “Kyiv is the hellish stamping ground of several notorious football 'firms' - who even send the fearsome Russians running for cover”). The fans criticize hotel prices that skyrocketed, reminding they were not millionaires and would not be staying in Kyiv for long. Kyiv police represented by its head Andriy Kryshchenko said they were cooperating with the British law enforcers regarding the violent individuals among fans that gives hope for peaceful finals. At the moment, there are no reasons to expect some negative behavior from the Liverpool fans. But there are a lot of reasons to anticipate that Kyiv and all the spectators will be able to see creative, bright and musical cheering of the fans during the final match. By the way, here is a song that will probably be heard during the game. Be careful, it’s highly contagious.